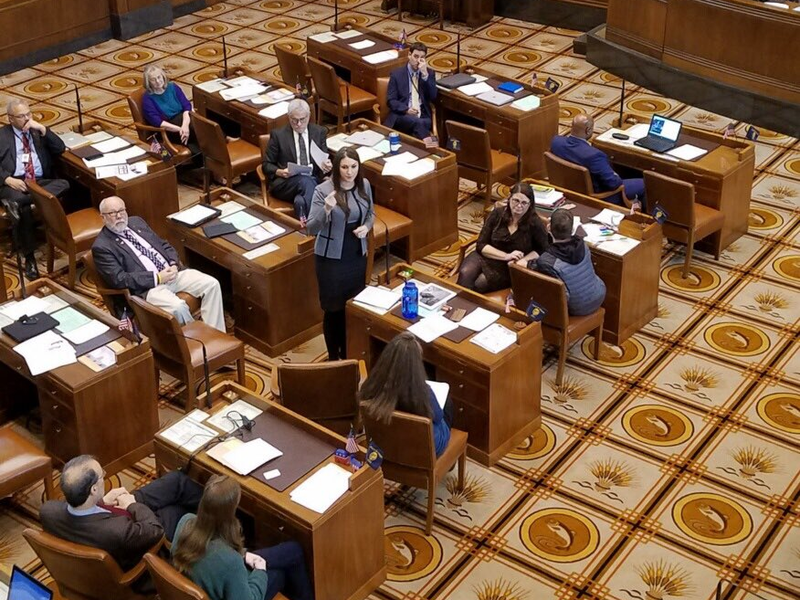 One of the hottest legislative discussions coming to Salem this session is Senate Bill 608, the bill that would put a cap on rent increases and ban many no-cause evictions in Oregon. It just passed the Senate, 17–11 along party lines, and now heads to the House. Creating a statewide cap on rent increases and reducing the possibility of no-cause evictions would be a huge win for tenant advocates across the state. However this bill as written falls short. The proposed rent cap, 7% plus the annual increase in the consumer price index, is way too high for actual rent stabilization, and the bill is riddled with loopholes that would leave far too many renters unprotected. Furthermore, some provisions in the legislation will incentivize landlords to harass tenants. Before diving into the details, let’s make sure we’re all on the same page. The creation of a cap on rent increases, commonly known as rent control or rent stabilization, is a tested and proven effective method that protects renters and slows displacement. No-cause evictions impose devastating hardships on the tenants that face them. Steps that lead towards smaller rent increases and fewer no-cause evictions are critical to protect the welfare of tenants. Senator Shemia Fagan (Dist. 24) carries SB 608. On Feb 12, the bill passed with a 17–11 vote, along party lines. SB 608 has a lot of awesome and promising pieces. If the bill passes it will provide some critical support for many tenants. It is important not to lose sight of the benefits as we enter into this discussion. Cap on rents (Section 2.3.c & Section 3.2.b): SB 608 would place a 7% + increase in the consumer price index (CPI) cap on annual rent increases. This would be the first statewide cap on rent increases in the US. There are countless stories where people are forced out when their rent suddenly doubles, such as at the Normandy Apartments in Northeast Portland. This bill would put an end to such extreme price gouging. Furthermore, the cap on rents includes a version of vacancy control (Section 2.6). Vacancy control means that in some circumstances, landlords will be restricted in how much they can raise the rent between different tenants. The lesson from various rent stabilization laws around the country is that vacancy control is a key element in making rent stabilization work. Without it, landlords can force out their tenants in order to raise rent. Ban on no-cause eviction (Section 1.3.c & Section 1.4): SB 608 officially bans no-cause evictions. As is the case already, a tenant may still receive a for-cause eviction if they violate the lease, such as by not paying rent. A tenant may also be evicted for a qualifying landlord reason (Section 1.5). Qualifying landlord reasons include demolishing the unit or converting it to a non-residential use, doing major renovations on the unit, moving into the unit or having a family member of the landlord’s move into the unit, or selling the unit to someone who intends to live there. But, landlords must have a for-cause reason or a qualifying reason, otherwise they cannot evict! And SB 608 promises the tenant one month of rent for relocation assistance if they are evicted for a qualifying reason (Section 1.6.a.C). Because of how the bill is written, statewide relocation assistance would supplement Portland’s Relo law rather than replacing it. Emergency ordinance (Section 11, 12, & 13): This bill is declared as an emergency and goes into effect immediately. This is very important because otherwise landlords may pursue sweeping evictions and rent increases before the bill comes into effect. This is more than an idle hypothetical — there is precedent for landlords doing just this in preparation for new tenant protections. SB 608 may offer many exciting tenant protections, but the structure and wording leave much to be desired. Many tenants would not see any meaningful benefits or protections from this new law as it is written. The rent increase cap set forth in this bill is way too high. CPI for the Western region tends to increase by about 3% per year. That means the rent increase cap would likely be around 10% each year. If rent was increased by that amount, it would nearly double in only SEVEN years. 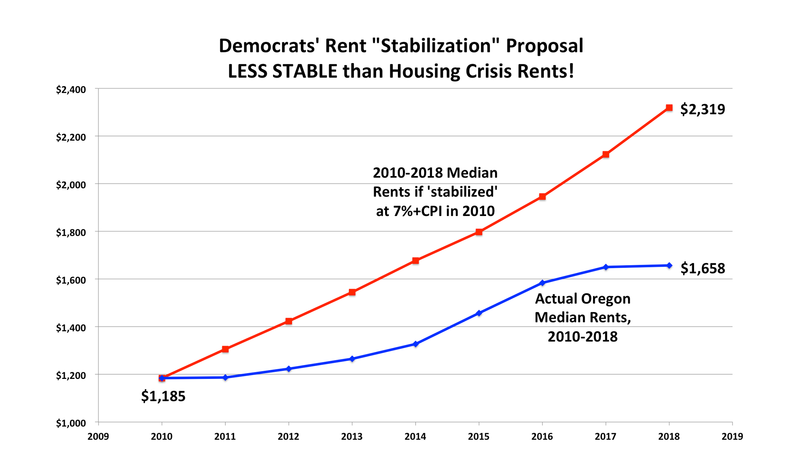 As you can see in the graph, average rents have not even been increasing at close to this pace, during a period in which the State of Oregon and the City of Portland have declared a housing emergency. The truth is, this rent increase cap is not rent stabilization and does not lead to stability. The rent increase cap is more accurately described as an anti price gouging measure. Which is nice — price gouging is awful. But we’re in a state of emergency! We need a cap that leads to stabilization. The 9.9% rent increase which threatened immigrants and refugees at Holgate Manor with displacement last year would likely have been legal under SB 608, but it still pushed low-income and fixed-income tenants beyond what they could afford. Homeowners are guaranteed that their property taxes won’t rise much more than 3% per year, and mortgage payments are often fixed. Why can’t renters be guaranteed that level of stability? SB 608 is riddled with loopholes and exemptions that remove protections for a huge swath of tenants. To start let’s look at the exemptions for rent increase caps. The rent increase cap does not apply to buildings for the first 15 years (Section 2.7.a & Section 3.4.a). All the luxury high-rises that have been going up for the last decade would be exempt from the rent increase cap. The argument for this exemption is that it helps developers make a return on their investment. But if developers need to increase rent on tenants by more than 10% per year, the developments are bad for Portland and bad for tenants! Let’s leave that space open for those who can provide housing for the people. Rent increase cap does not apply to subsidized housing (Section 2.7.b & Section 3.4.b). Anyone who is getting subsidized housing through a federal, state, or other governmental program would be exempt from the rent increase cap. It’s unclear why providing housing for the most vulnerable tenants should entitle landlords to price gouge. It’s important to understand that just because a tenant lives in subsidized housing or has a housing voucher doesn’t mean they’re immune to rent increases. Programs like Section 8 Housing Choice Vouchers pay a portion of a tenant’s rent each month, and do typically rise when a tenant’s rent rises. But if a rent increase brings their rent above federally set Fair Market Rent, the voucher hits a limit and the tenant must make up the difference. In other words, Section 8 tenants can still be pushed out by rent increases. Even if the gap is covered by governmental programs, large rent increases mean more resources going to fewer people, less money available for new vouchers, and more people with urgent need finding themselves without housing. There is simply no good reason that anyone, and especially not housing providers for tenants with the highest financial need, should be increasing rent by 10% or more per year. The ban on no-cause evictions is pretty awesome because these are particularly disastrous to tenants and not easy to justify. However, a closer examination of all of the loopholes in the bill reveals that it does not propose a blanket ban on no-cause evictions, but rather disallows them in certain circumstances. The loopholes which remain are gaping. No-cause evictions are allowed during the first year of tenancy (Section 1.3.c & Section 1.4.b). Apparently new tenants don’t deserve stability? This provision has likely been included to offer landlords an opportunity to remove tenants who are “not a good fit”. However, that power is often wielded to discriminate or retaliate against renters in ways which would otherwise be illegal. And it’s unnecessary — any bad behavior that a landlord should have any say over is already covered by the lease and would be grounds for a for-cause eviction. Landlords will actually be incentivized to evict families with children, and other groups of tenants who often face discrimination, within the first year of tenancy because it will be harder to evict them later. This will worsen the housing instability among children that is already hurting school performance. The main effect of this provision is to add a lot of uncertainty and instability for people who are finally getting settled. Weak language for qualifying reason. Landlords would retain the right to evict tenants for qualifying landlord reasons. These include demolishing the unit, converting it from residential use, doing major renovations, moving into the unit, or having a family member move into the unit (Section 1.5). The problem is, the language in the bill only suggests that a landlord must “intend” to do any of the actions listed above in order to evict a tenant. There is no need for proof of that intention, or for proof that the landlord followed up on that intention. In order to avoid wrongful eviction penalties, a landlord must simply know about these exemptions and claim an intention. As soon as the tenants are out, the landlord’s intention can change. Relocation assistance is low and does not apply to landlords with four properties or fewer (Section 1.6.b). An amazing component of SB 608 is that it offers relocation assistance if landlords evict based on a qualifying landlord reason. Unfortunately, the relocation assistance is only one month’s rent. That is not enough to cover the double rent and moving costs that many people have to incur when they are evicted. Relocation payments tend to be at least 3 months’ rent (or more) in other areas with just-cause standards. Portland, for example, requires landlords to pay $2900 — $4500 depending on the size of the unit. Why should rural and coastal Oregonians be forced to accept much less? Aside from the amount, this provision would be virtually unenforceable for anyone who is not in an apartment building because landlords with four properties or fewer are exempt. There is no database tracking who owns property where, and landlords often obscure their ownership behind LLCs, so there is no way for a tenant to know or prove how many units their landlord owns unless they live in an apartment building. Many thousands of tenants live in rental properties that are owned by landlords who own four or fewer properties. These tenants still have high costs when they are evicted … the same costs, in fact. They deserve the same amount of relocation assistance. The cost of displacement is not negotiable for the tenant, who will have to pay it whether they receive assistance or not. If the relocation assistance is too much for a landlord to afford, they should consider not evicting their tenants. All of the issues described so far are troubling, but they mostly point to why the bill is not as good as it could be. None of them make anything worse than it is now. However, there are a couple of very concerning provisions in the bill that could actually make life worse for some tenants if they remain as they are written. Fixed term tenancy can be terminated if tenant has received 3 lease violation warnings in a 12 month period (Section 1.7). Fixed term tenancies are exempt for the no-cause eviction ban if the tenant has received three lease violation warnings in a 12-month period. It’s important to understand what a lease violation warning is. These are notes sent by the landlord or property manager that state something is out of line. That can include having too many potted plants, hanging a towel on the balcony, having an apartment which the landlord deems too messy, losing a pet’s proof of vaccination, not watering the lawn, and many other small infractions that tenants are often not even aware they are committing until they receive the warning. Regardless of how quickly a tenant addresses the situation after they have received a warning, the warning can still be used against them (as one of the three) to justify eviction. 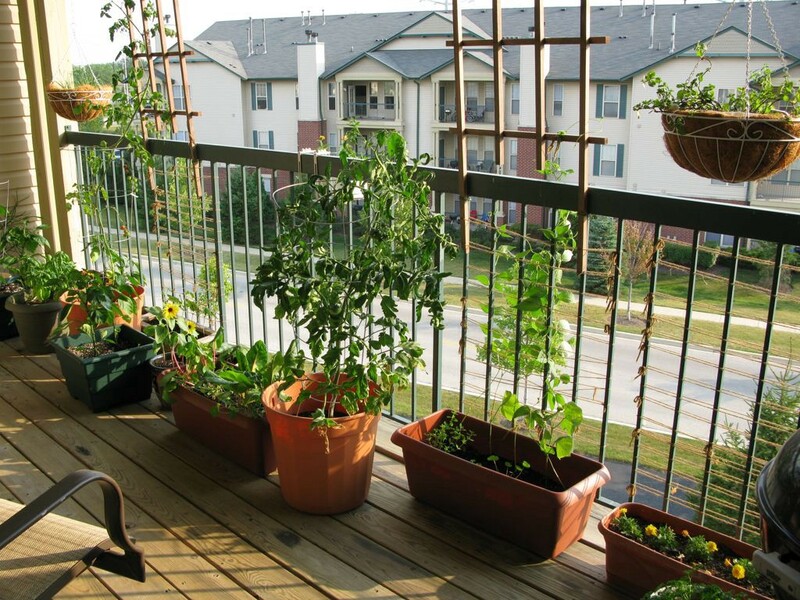 Minor infractions such as having too many potted plants on a balcony can count towards 3 lease violation warnings. And here’s where it gets ugly: Eviction using this practice does not qualify a tenant for relocation assistance. This provision creates a massive loophole because there are so many little items in a lease that a landlord or property manager can count towards the three lease violation warnings in a year. This loophole is particularly insidious because it incentivizes landlords to do more inspections and harass tenants more frequently about minor issues, simply to have lease violation warnings on the books so that they can use them to refuse a lease renewal. A landlord may want to terminate a lease for discriminatory reasons, to get out of paying relocation assistance for a qualifying cause, to retaliate against tenants who request repairs or form unions, or to be able to raise the rent beyond the rent increase cap. Weak vacancy control — eviction bonus. For rent increase caps to work, vacancy control is necessary. It’s commendable that SB 608 includes vacancy control. However, the vacancy control provision is so weak that it hardly serves its purpose. Landlords are restricted to the rent increase cap between tenants only if they employ a no-cause eviction. If a landlord evicts someone for-cause, using a qualifying landlord cause, or using the three lease violation rule described above, they can then raise the rent as much as they would like. This creates a perverse incentive for landlords to find ways to evict people. That may include increased inspections to evict someone for-cause or using the three lease violation warning rule. Or it could be fabricating a qualifying cause in order to evict a tenant and hike up the rent. And if a tenant leaves “voluntarily” — perhaps pushed out by a 9.9% rent increase, by constant harassment over minor lease violations, or through renoviction — vacancy control does not apply. Essentially, landlords are awarded an extra rent increase as a bonus for displacing tenants. If the current version of SB 608 becomes law, many landlords will seek to do so at any cost. SB 608 promises some exciting things! Capping rent increases statewide would prevent price-gouging, and Oregon would be the first state in the US to do so at the state level. The bill would also prevent some no-cause evictions, offering stability for those tenants that qualify. However, the watered down policies and loopholes in SB 608 do not offer the tenant protections we need and, moreover, enshrine some dangerous policies. The three lease violation warning rule and a lack of proper vacancy control could incentivize landlords to harass tenants even more. Setting a high rent increase cap will give landlords an excuse to displace tenants through a slow-moving freight train of annual rent increases at the maximum level allowed. Another danger is that passing a bill today that falls far short of what we need may kick the can down the road far into the future. This may mean a missed opportunity to take crucial steps like lifting the local preemption on rent stabilization and no-cause eviction, setting bolder standards for no-cause evictions, and setting an appropriate rent cap. SB 608 was drafted in order to be passed quickly and with few amendments. It was drafted in close collaboration with landlord lobbyists and realtors, with little input from tenant advocates or tenant-friendly policy makers. We will also mobilize the power base that we have and organize locally, furthering the tenant protections that we do have power over, including spreading Relo beyond Portland’s borders and lowering the rent increase thresholds that allow a tenant to claim Relo.